In February of 2009, President Obama and the U.S. Congress approved the American Recovery and Reinvestment Act to help kick-start the nation's economy. The landmark measure includes targeted tax relief and significant investments in such vital areas as education, transportation, healthcare, science and technology and energy-efficiency. In an effort to ensure full transparency and accountability, Gov. 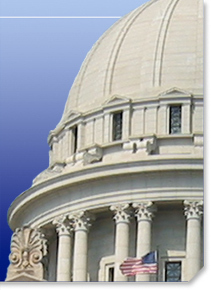 Brad Henry ordered the creation of a state Web site to help track the use of Oklahoma stimulus funds. This site will provide the citizens of Oklahoma access to clear and concise information about the federal stimulus initiative.